Revisiting the Lost Colony - North Carolina’s Roanoke Island | Happenings, Marketing and Technology Advice and Thoughts! 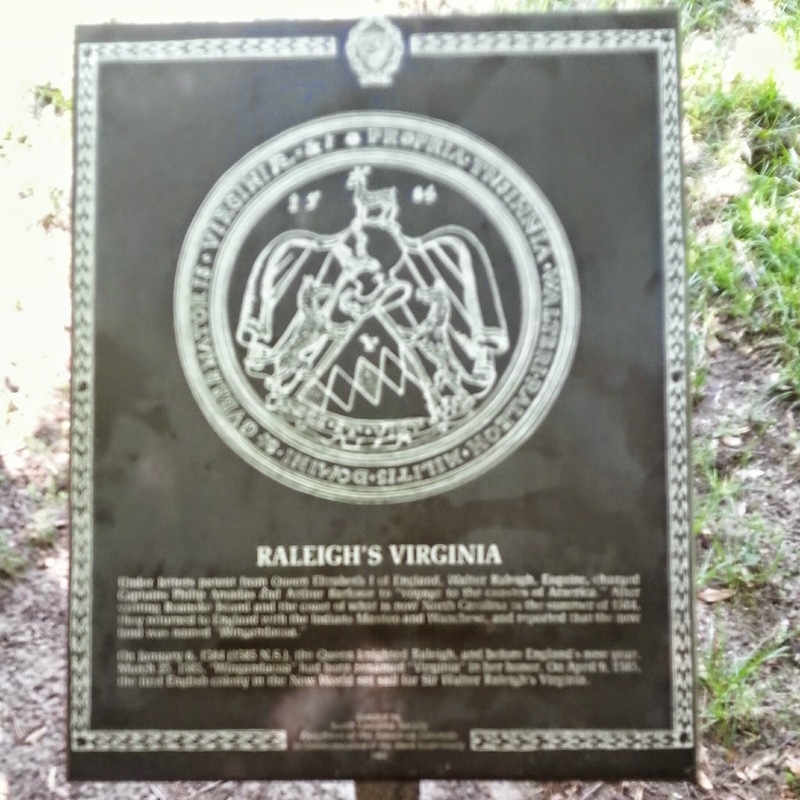 On a visit to Outer Banks, North Carolina we decided to take a trip to Fort Raleigh and the Elizabeth Gardens. Its a 30 mile drive and after visiting the Fort Raleigh Historic Site many of the members of my friends and family were a tad bit disappointed. The key phrase here "Fort Raleigh National Historic Site protects and preserves known portions of England's first New World settlements from 1584 to 1590." From the National Park's website. 1585 is probably as old as it gets. Sir Walter Raleigh believing that " favorable location for the first English colony in North America" was the Roanoke Island"
There is no museum or well preserved structures and you have to close your eyes and imagine the adventures of these voyagers as they tried to establish a colony. This was a disappointment to many of my family members as we were visiting the site. I don't think we went in to the Elizabeth Gardens and so lost the opportunity to see the rare painting of Queen Elizabeth I. Nevertheless visiting a historic site and imagining what these explorers faced was a thrilling experience.